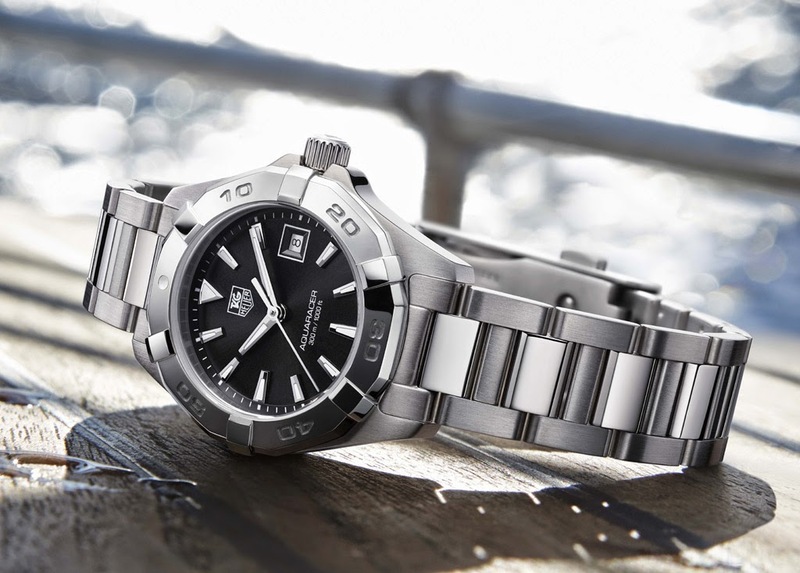 The Tag Heuer Aquaracer is the watch for dynamic women whose style combines elegance and sportiness. 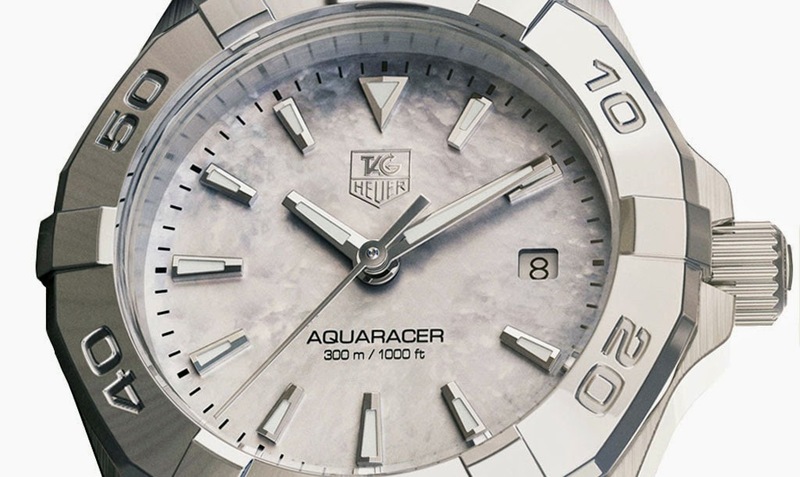 One of the most successful watch for Ladies since its introduction over 30 years ago, this year the Aquaracer is getting a design makeover. 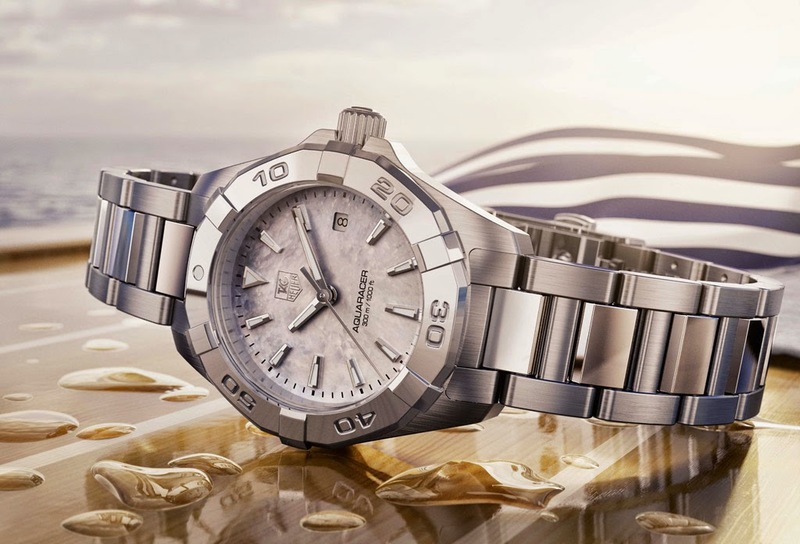 Water-resistant to 300 meters, the Aquaracer Lady is equipped with a unidirectional rotating bezel immediately recognisable for the typical six lugs, a screwed-on crown, and luminescent hands and indexed for easy readability in any light conditions. The new details of the face lifting include a new, more ergonomic bracelet with H-shaped links, a new geometric bezel design as well as alternating polished and brushed finishes. 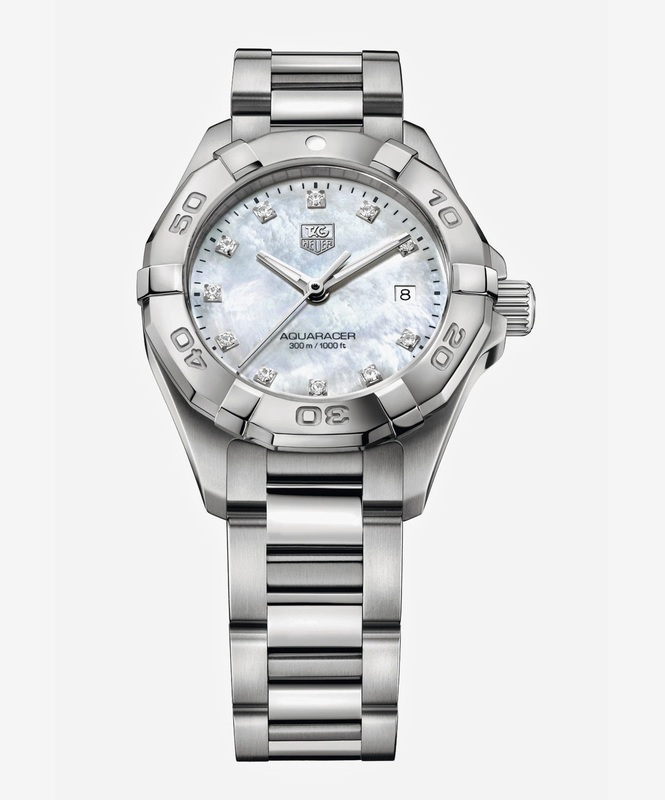 There are various versions of the Tag Heuer Aquaracer Lady: with black or mother of pearl dial, in steel or steel and gold, with simple indexes or with diamonds as hour markers. 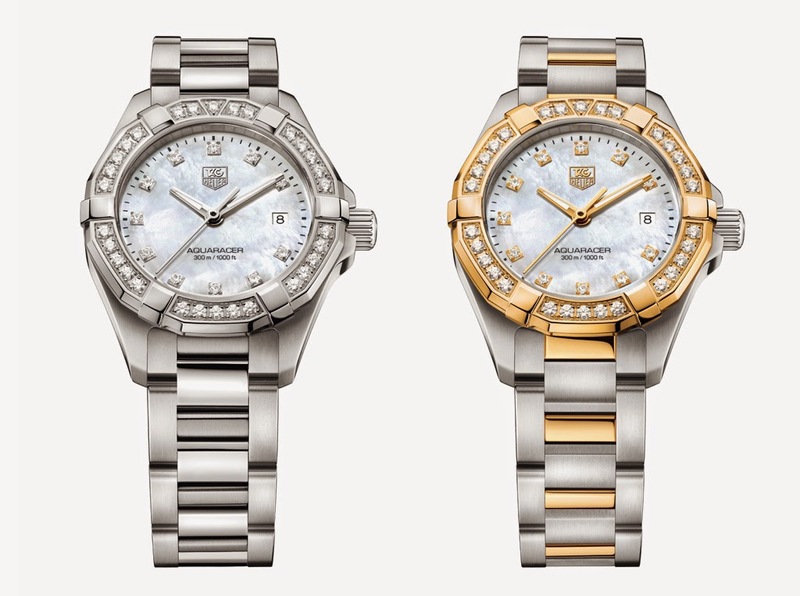 There is even a bijou version with 30 diamonds to enrich the rotating bezel. The case is available in two sizes: 27 mm or 32 mm of diameter. 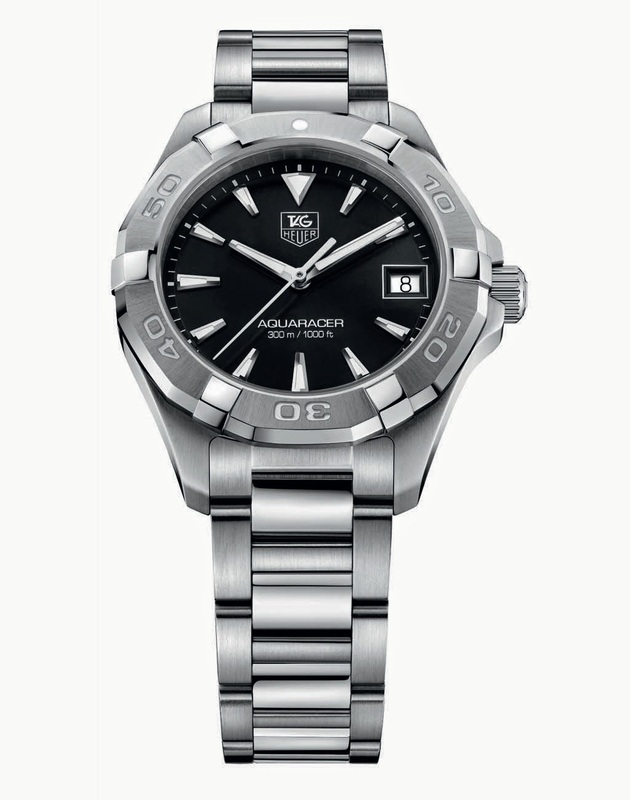 The Aquaracer are fitted with high-quality Tag Heuer quartz movements also featuring an end of battery life indicator. When the battery shows signs of weakening, the seconds hand starts making four-second jumps every four seconds. However, the movement will continue to display the exact time until the battery is exhausted. Retail prices start from Swiss Francs 1,650.